Kevin joined Core5 in 2017 as Vice President Development where he is charged with selecting, managing and leading teams who build facilities for the Dallas and Chicago portfolios, and provides construction assistance for the Pennsylvania team. His principal duties include design and execution supervision of new development and tenant improvement projects, and providing technical guidance for assignments managed by third party property management teams. Kevin also supports the leasing team by developing detailed scopes of work for lease documents and TI budgets. With a career spanning two decades and a range of roles, Kevin’s expertise scales from management to estimating projects to hands-on construction. Experience includes a five-year assignment with IDI Gazeley where he worked as Director of Construction. He also held the role of Senior Project Manager/Estimator with a general contractor in Dallas and early in his career, benefited from an assignment in a cleanroom construction field in the DFW/Austin markets. Kevin is a third-generation carpenter. He is a graduate of the University of North Texas where he received a BBA in Real Estate Investments and Finance. 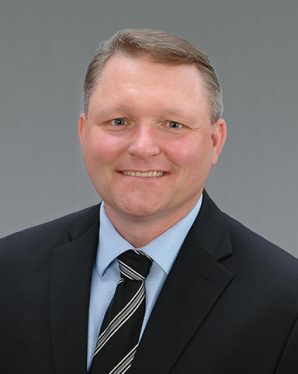 Kevin’s real estate designations include a LEED AP BD+C Certification and standing membership in the Construction Managers Association of America. Kevin and his wife Kelli have two children, Austin and Ashleigh. He is an accomplished bowler and currently volunteers as Vice President with the Denton County United States Bowling Congress, the governing body for the sport of bowling. Kevin is a volunteer for the Boy Scouts of America and regularly assists with the local high school marching and percussion bands, and the color guard.